September 11 is observed as the death anniversary of Muhammad Ali Jinnah in Pakistan. This remembrance day honors Quaid-i-Azam (Great Leader) of Pakistan who is regarded as the father of the nation. Muhammad Ali Jinnah was born in 1876 in Karachi (then British India). He graduated from high school in Bombay and left for England, where he studied law. He was called to the bar at age 19. He returned to Bombay in 1897, becoming the only Muslim barrister in the city. Jinnah's political career began in 1904, when he attended the 20th annual meeting of the Indian National Congress. In 1913, he joined the Muslim League and became its president thee years later. In the 1920s, he took a break from politics, but in 1933 Indian Muslims urged him to return to the political career. Jinnah actively supported the partition of British India into India and Pakistan. In 1946, he insisted on full sovereignty of Pakistan with dominion status. 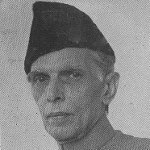 Due to Jinnah's efforts, Pakistan gained independence in 1947, with Jinnah as its first Governor-General. Jinnah died of pneumonia on September 11, 1948. His death anniversary is not a public holiday, but official events are still held on the occasion of this special day. It is marked with solemn speeches, special prayers, the 21 gun salute and functions at schools.